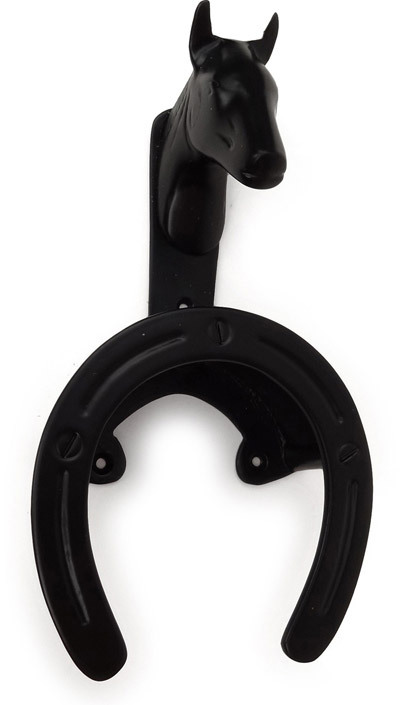 This elegant bracket for storing bridles, halters, or other delicate strap goods features a horseshoe style bridle bracket with a horse head peeking over the bridle's crown. 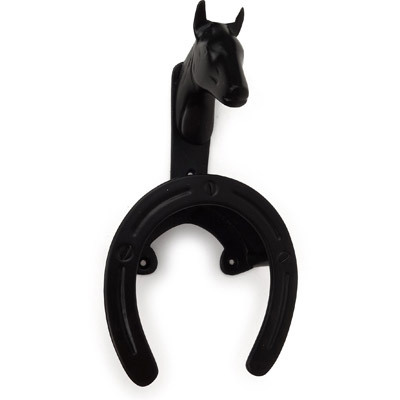 Black hooks have an cast iron appearance and look great in any tack room. Green Patina items lend an old world charm wherever they are used. Brown patina items look vintage and have an old west feel. Also available in three other finishes.